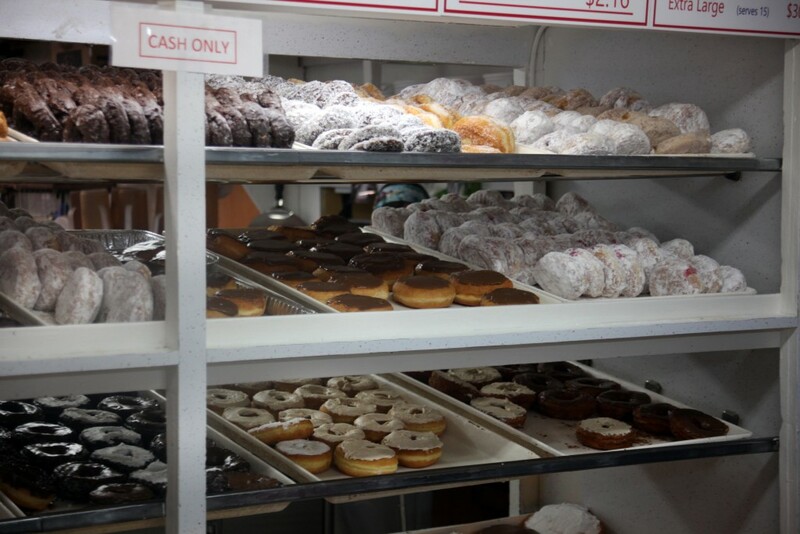 But this small state (only 37 miles by 48 miles) packs in a lot of donut shops, in addition to some beautiful beaches and a thriving art community. As of 2014, NPD Group Inc. found that the Providence metro area has more donut shops per capita than any other region in the US. 25.3 donut shops per 100,000 people. 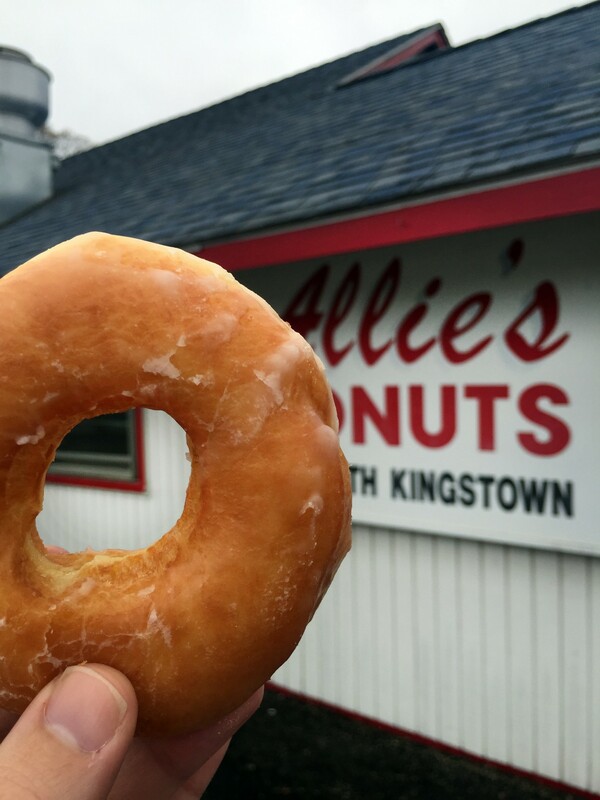 Allie’s Donuts is probably the most iconic Rhode Island donut establishment. Now open for over 40 years, it has always been a place that no matter where you’re going in the state, people will find an excuse to stop off here. 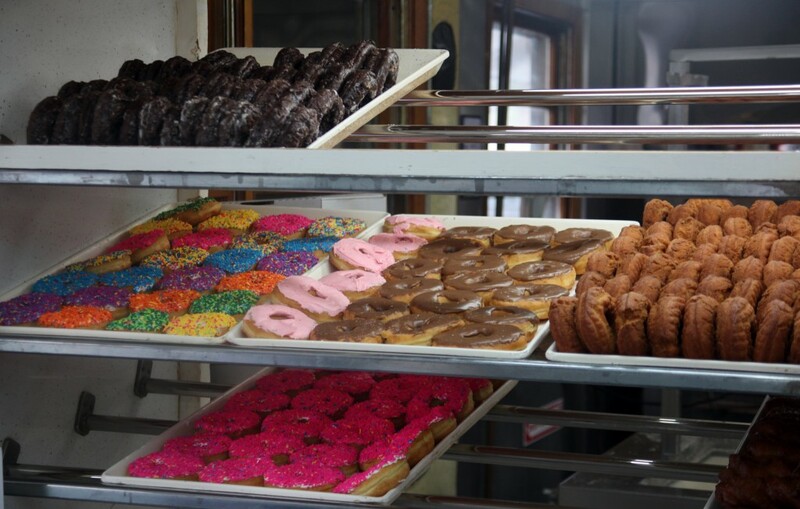 Frederick Alvin “Allie” Briggs opened this unassuming, red-trimmed building in 1968 and has been cranking out handmade donuts ever since. Their plain glazed donut was chewy with a sweet glaze and a few contrasting sour and nutty notes in the dough. The maple glazed had a strong maple flavor and perked your tastebuds up. The old fashioned was very cake-y, dense, and straightforward. 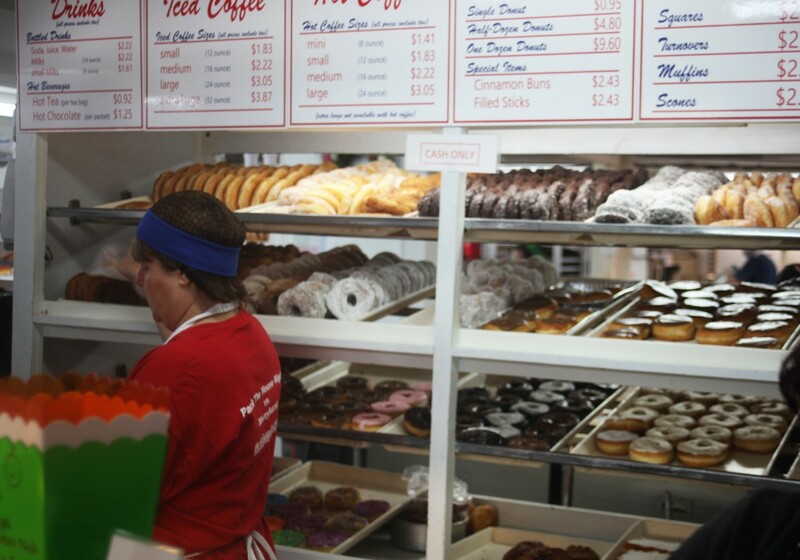 Their top-seller is the fluffy yeast donut topped with florescent colored sprinkles. 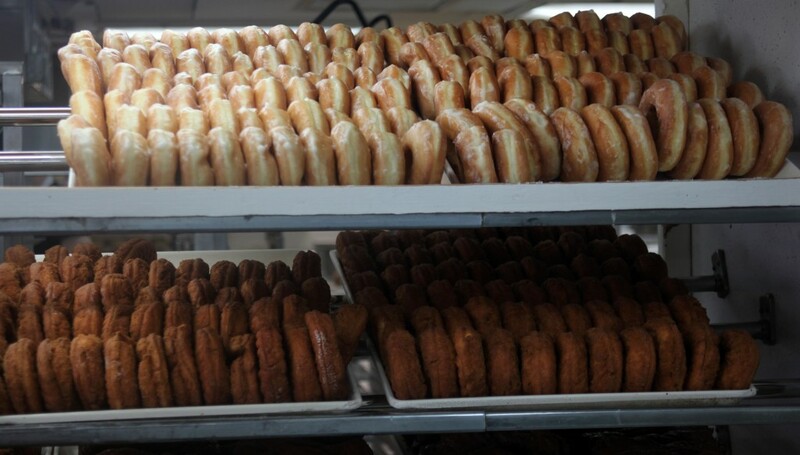 In the next few weeks/month, Providence will see the opening of new donut shops like PVDonuts and Knead Doughnuts, which will only contribute positively to the donut scene here in Rhode Island. 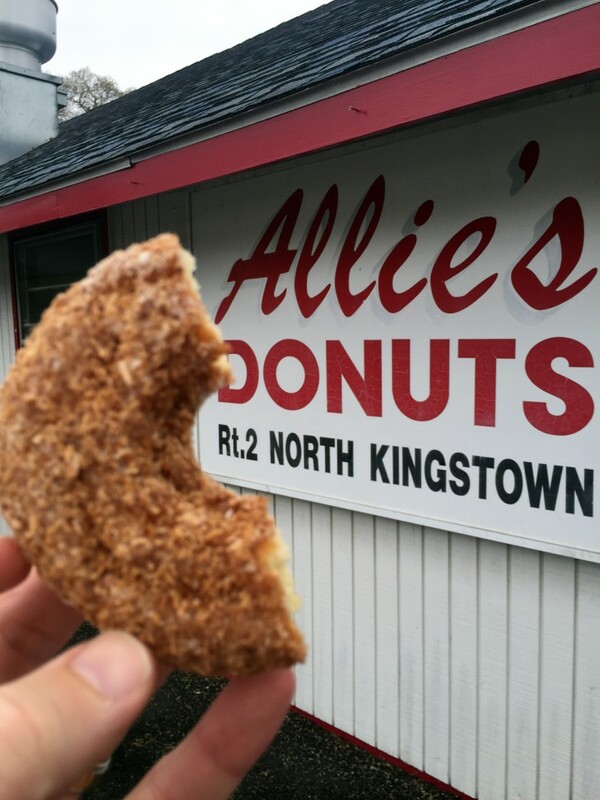 But for the donut that hasn’t changed in the last 4 decades, Allie’s is the place to go.